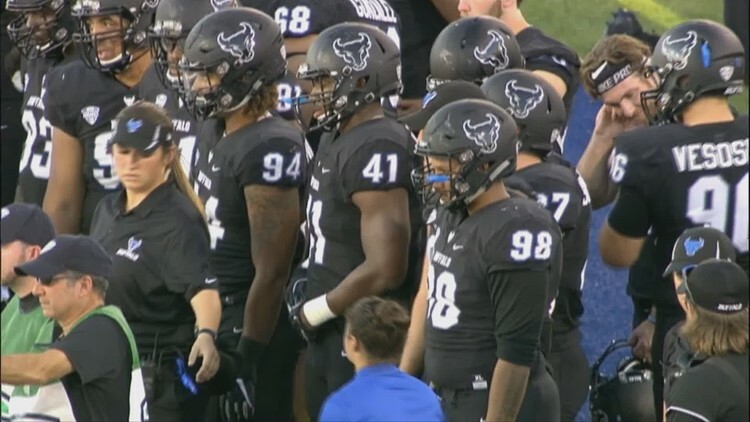 UB beat Eastern Michigan 25-28 Saturday night to improve to 3-0 on the season. BUFFALO, N.Y. (AP) - K.J. Osborn pulled in a career-high 188 yards receiving and scored the critical touchdown in the fourth quarter that lifted Buffalo to a 35-28 win over Eastern Michigan in a Mid-American Conference opener Saturday night.